Let's get ready to Rhombusssss! 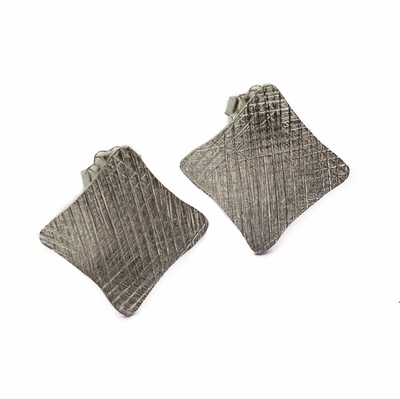 These cute little post earrings are handcrafted textured sterling silver in the geometric shape of the rhombus - kind of. They are so lightweight in your ears that you just might forget you have them on. Measuring about a half inch they will complement and not compete with your other jewelry.